But is this actually so? And what if you were a drinker—even a heavy drinker—at the time you became pregnant? Has the damage already been done? When does an occasional drink become a genuine health concern? The first step is to take a deep breath. The vehemence of the public health message, while well intentioned, can sometimes leave a woman feeling that even discussing the subject of alcohol and pregnancy is forbidden. This shouldn't be the case. The simple fact is that there is no way to where the line is between safe and unsafe is. It is all highly individual in the same way that a person's response to alcohol is highly individual. But let's put aside the public health message for one moment and look at what the current evidence actually tells us. 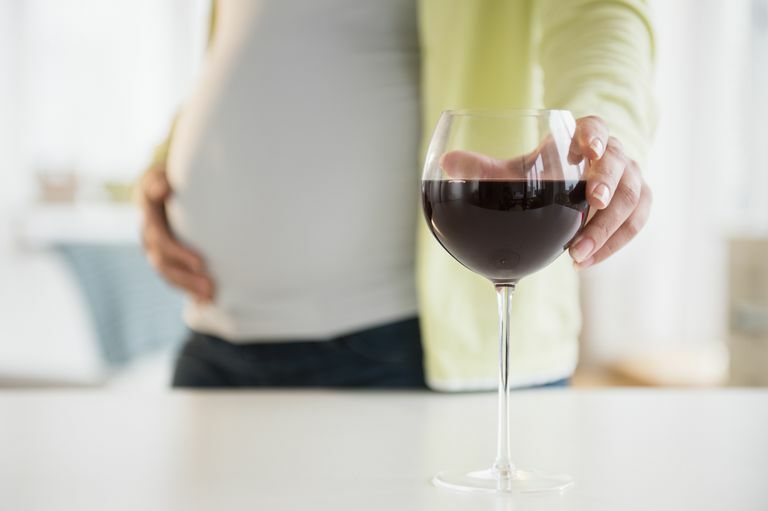 While it is well known that drinking during pregnancy can lead to the development of fetal alcohol syndrome (FAS) while increasing the risk of miscarriage, birth defects, and other health complications, an occasional drink appears to have less effect during the first trimester than some might assume. According to an analysis from the Texas A&M University Health Science Center, which extrapolated data from both human and animal trials, the patterns of drinking may be more of a factor in fetal brain developmental problems than the practice of drinking itself. Even during early pregnancy, binge drinking (defined as having more than four drinks within two hours) increases the blood alcohol concentration (BAC) far beyond what would be seen in a casual drinker. This exposes the developing fetus to the same levels of alcohol that cause hangover in adults but at a stage where the brain is developing and has less capacity for self-repair. Long-term studies in humans have confirmed that children of binge-drinking mothers have especially severe cognitive and behavioral problems compared to children of non-binge-drinking mothers. While this may suggest that mothers who are non-binge drinkers are "safe" (or binge-drinking mothers can continue drinking without further consequence), the research suggests just the opposite. According to the study, early alcohol exposure may have as much ill effect on fetal brain development as alcohol exposure throughout pregnancy. Moreover, the persistence of drinking is associated with a worsening of defects in the second trimester, resulting in a loss of plasticity (ability to change and develop) of fetal brain tissue. The bottom line is this: we don't know for sure where the line is between acceptable and non-acceptable drinking during pregnancy. Complicating matters further is the fact that the threshold can vary from person to person, with some women having more of the enzymes needed to break down alcohol than others. For this latter group, the blood alcohol concentration may end up being far higher with only one drink. Moreover, the choice of drink plays a key role in determining how much or little alcohol your baby is exposed to. It's one thing to have a glass of wine or beer; it's another to have a shot of liquor which can have 20 times more alcohol per serving. If you have a history of drinking or enjoy the occasional drink every now and then, be honest with your doctor or midwife during your prenatal visits. Don't minimize your alcohol intake or say you're drinking less than you are. This is especially true if you find it hard to stop or cut back. Bending the facts to please your doctor or avoid consternation will help no one, including your baby. Honesty, by contrast, allows you to make an informed judgment with full information based not on fear but on fact. Helfer, J.; White, E.; and Christie, B. "Enhanced Deficits in Long-Term Potentiation in the Adult Dentate Gyrus with 2nd Trimester Ethanol Consumption." PLOS One. 2014; 7(12):e51344. Maier, S. and West, J. "Drinking Patterns and Alcohol-Related Birth Defects." Alcohol Research and Health. 2001; 25:168-174.